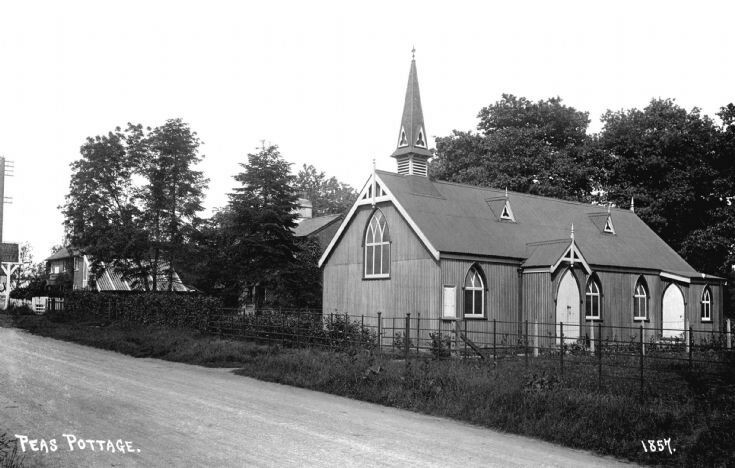 To provide a place of worship in the village, a church constructed of metal sheets was built on the Brighton Road, a few yards beyond the Grapes. Offically it was known as the Mission Room or Mission Church, but to everyone it was called the “Tin Church”. From early in the 1960s it was used for commercial use, but has since been demolished. The Church of the Ascension, close to the Black Swan, continued to provide services after the days of the tin church but those services have now ceased and the building is now used as offices. This picture makes me realise what a beautiful little building this was. Give that architect an award! It was constructed in austere times and, because of a demand for inexpensive and quickly-erected such buildings, I rather suspect that similar churches were built and, indeed, probably bought "off the shelf". It seems to have had a felt-covered roof unlike the one described in Bernard Miles’s monologue, “little Salvation Hut made outa corrugated iron and when that rains it don’t half rattle!” My brother and I were christened there.